A wide variety of flocking chambers are available to suit most applications due to our custom design work at CCL. They are specifically built to customers precise specifications and requirements. 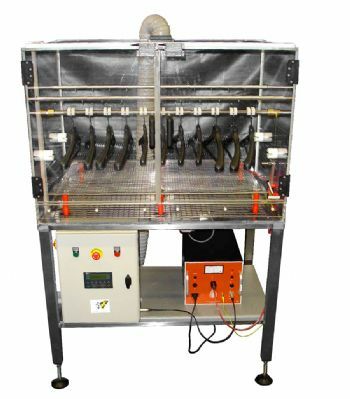 Flocking chambers automatically apply flock to the items placed within the chamber, and a number of application methods may be employed to suit specific needs. Flocking chambers are available with built-in extraction and flock recovery systems, offering reclamation and recycling of excess flock. Overhead hoppers and blown guns may be added where required. The DCA Flocking Chambers are a very effective way of flocking large numbers of small 3D items. Request a design consultation by emailing us at sales@flocking.biz or contacting us on 023 8061 3700.